Select the level of dry to suit you! 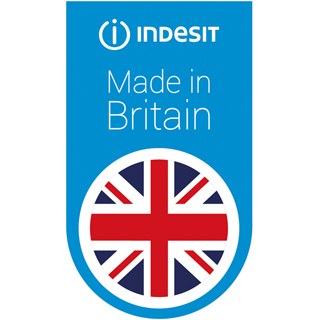 The IDVL75BR 7kg vented sensor tumble dryer from Indesit is designed to take excellent care of your clothes with its 3-level sensor drying system. 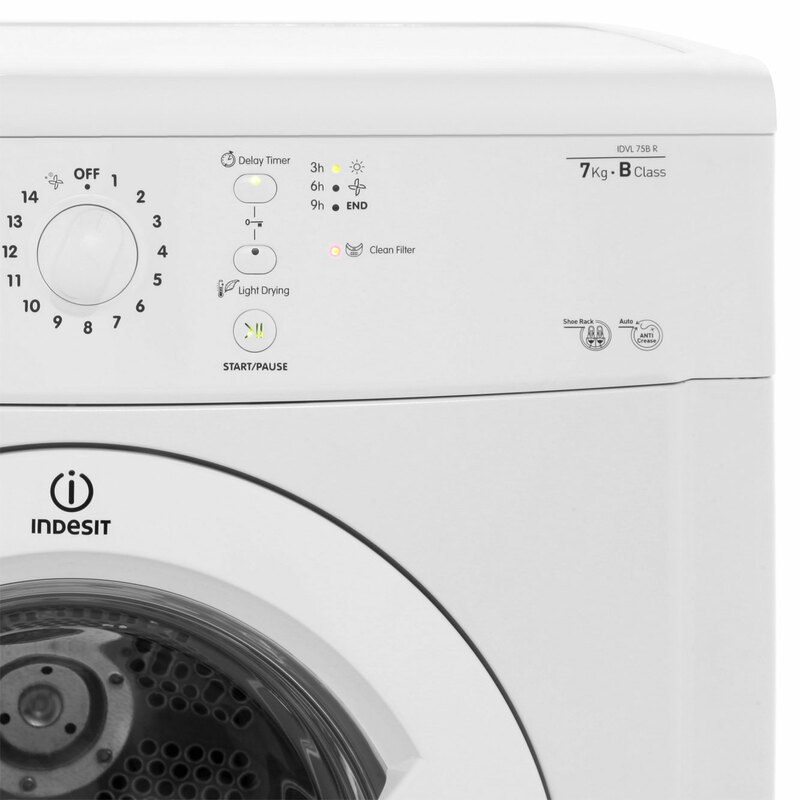 It gives you the choice between iron dry, cupboard dry and ready to wear so you can select the exact level of dryness you need and it’ll automatically stop when that’s reached. There are 11 programmes to choose from giving you the ultimate flexibility. I think it will be an alright tumbler, once I get used to it. 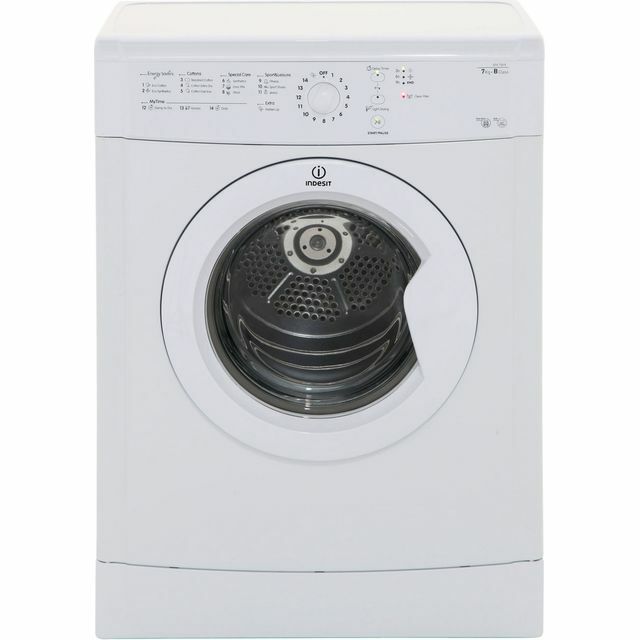 "I looked around for a good tumble dryer when my Knight died unexpectedly, and settled on this one as it appeared to have everything I needed, and the husband wanted. It’s ok. I’m still trying to find the right setting to get my clothes completely dry first time as there are lots of different ones to choose from. 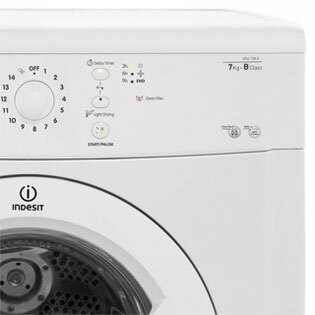 It has a button to change the temperature to low and a timer I haven’t used yet but looks easy. I was disappointed about the child lock as it doesn’t stop you from opening the door and my five year old can turn the entire thing off then when you turn it back on you have to restart from the beginning. 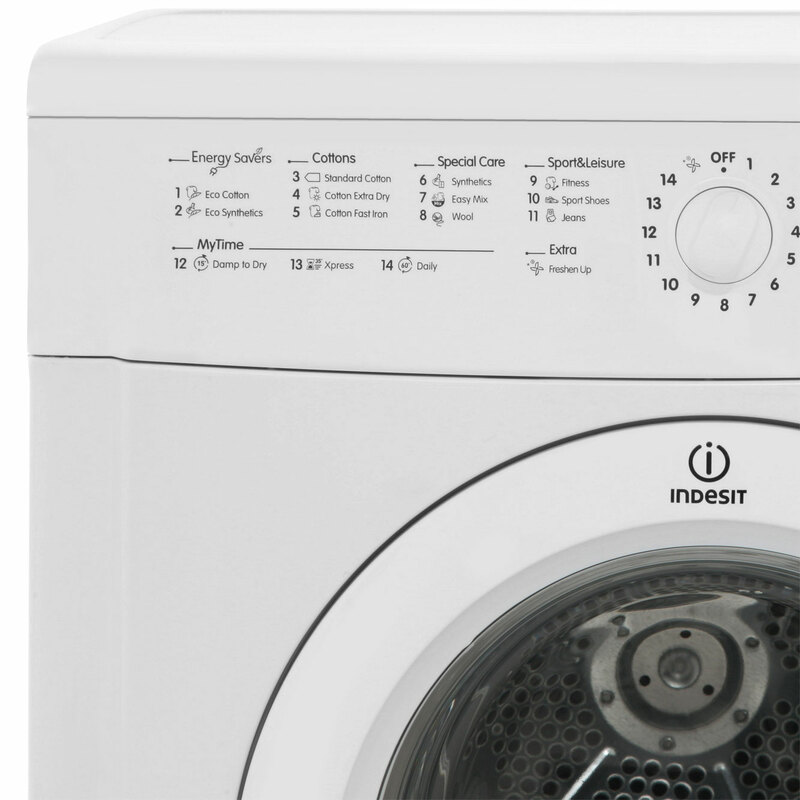 It’s pointless to have, and coupled with not drying the clothes first time, made me give it a 4 out of 5. I think once I’m used to it my clothes will be dry first time. As for the child lock? 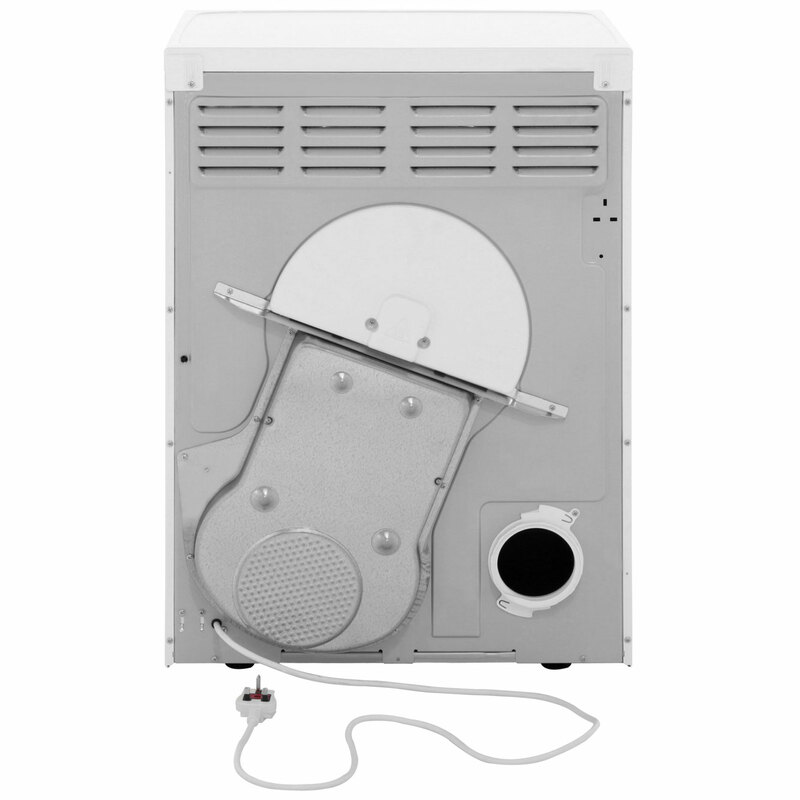 It’s like buying a chocolate fire guard..."
"I find this dryer doesn’t dry the clothes well. I’m having to dry twice no matter what setting I use. Disappointed "
"Read the manual and had the dryer on. Just everything seems time related. No mention of the sensor in manual. So not convinced there is a sensor on this one? 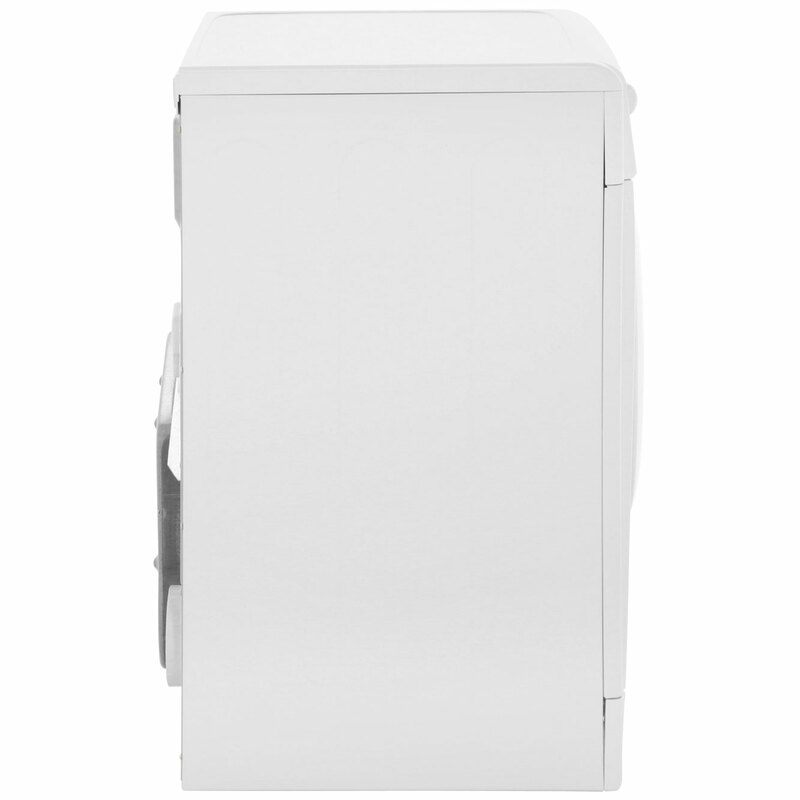 "This dryer, is by far the worst kitchen appliance I have ever had to endure! It often stops when clothes are still very damp, costing me time and often continues for HOURS after it needed too! costing me money! The repair guy told me it detects the dryness by a small bar at the front, which is easily fooled. Like me!! :( AVOID!!!! "This is simple to use and easy to clean out the fluff"
"I did a lot of research, hours in fact, and went with the machine that had all the wash programs I wanted, wool and short washes being important. Was very wary that I had made the right choice after having other products fail my expectations. But GOOD NEWS it actually performs wonderfully. 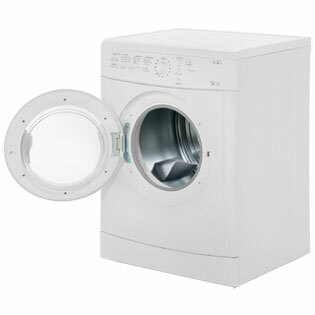 Clean clothes in half the time!! Really pleased with it. "